Now in it’s 6th year, this annual trek has become a pilgrimage in honour of our fallen diggers and our lost friends – it is an opportunity to fundraise to assist suicide prevention programs in the construction industry and make a difference to so many people’s lives. The Kokoda Track stretches 96 kilometres through what is arguably some of the most rugged and wild jungle in the world and holds an extremely important place in Australia’s history. From July 1942, the route over the Owen Stanley Range witnessed the battle-hardened Japanese war machine, encounter young, unprepared, untrained, unproven and hopelessly outnumbered Australian soldiers. 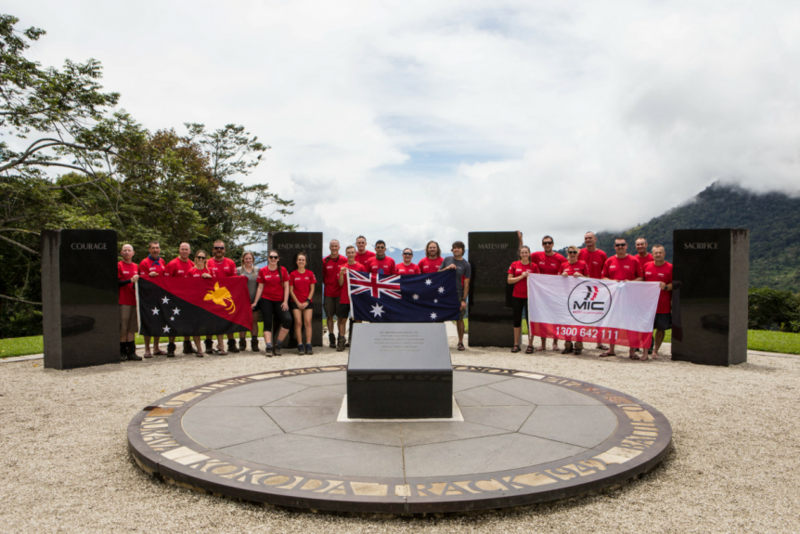 After completing this trek you will feel proud to have paid your respects to Australian wartime history, will have completed a personal physical challenge and will have raised funds & awareness to continue the vital work MATES do in suicide prevention in the construction industry. MATES in Mining and MATES in Energy are joining with their friends MATES in Construction for this journey. These teams are all about MATES helping MATES – it is an industry-led approach to an industry problem. Our 2019 Trek will take place 6-15 September 2019, so come take a walk with your MATES.